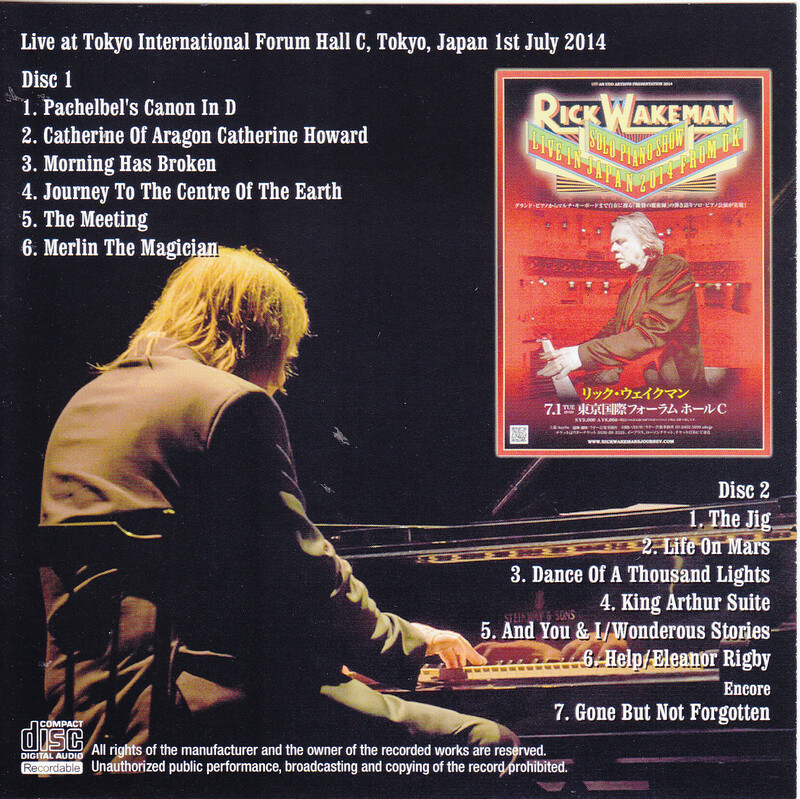 It is a valuable source of Rick Wakeman that were not performed only one concert at a time Osaka, and Tokyo. 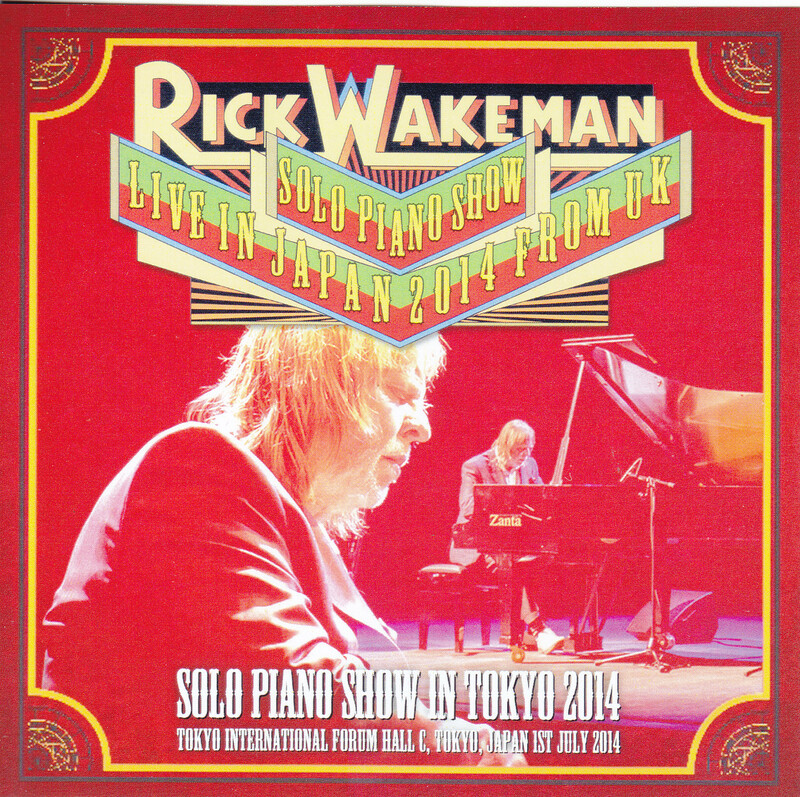 I have received much attention in Japan that special performance at the piano solo whose contents are different from the UK tour which was conducted between April-May this year. 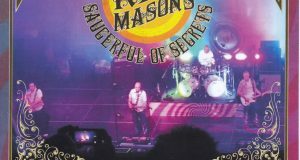 Than the original master recording by the person provided, this work is fully recorded in high-quality audience recording of the finest level, the Tokyo International Forum performances July 1. Mean that recording from the best position in the fourth column, the sound of the piano have been captured in a thick delicate sound, making it easy to listen, to the content of high quality. This concert was held in two parts across the rest of about 15 minutes in the middle. While the orchestra tape Pachelbel work of “canon” is flowing, one part appeared Rick slowly. You start playing to match the tape. Venue to the atmosphere, such as the classic hall like at this point. I am listening venue drinking Katazu brilliant technique of Rick. Greeting with a microphone first song is finished. You me laugh venue “World Cup, England, dub, Japanese Mai, dub” and is sprinkled with Japanese. 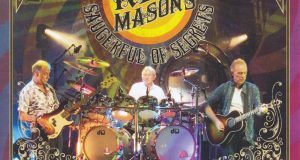 It has a talk sprinkled with jokes and episodes of the time between songs thereafter. Can ask also how fun applause occurs from the audience the name of your album comes out, and try to be funny and Rick also to meet with it. Highlights of the one part I think the “Journey To The Center of the Earth”. 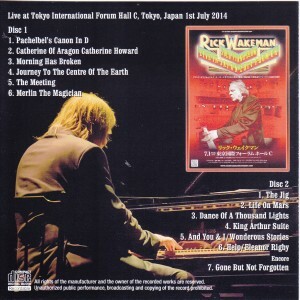 That is a magnificent song, politely, there is no doubt that to overwhelm all who hear a very impressive is how are played delicate solo piano of Rick. Play will be performed two parts also across the MC of Rick as well. Highlights of two parts would be two songs of Jesus again. How this two songs popular in Jesus “comrade” and “a strange story” or become a piano solo? In the air taut so that the audience of the venue also 1 no sound miss hear, that beautiful melody will continue to spread to fill the venue. In addition, two songs of the Beatles, which is arranged to brilliant is also very good can. 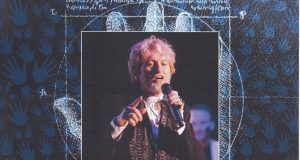 Beautiful music that has been Issued spun from “magician of the keyboard” just. You can feel the impression whether so different music that was familiar usually only turns piano solo. I think I would like to hear all means not only prog fans and Jesus, for those who love the classic.